Bethany Armstrong is a retired Canadian Foreign Service Officer who has undertaken a wide variety of volunteer activities since retirement. She was introduced to nature by her father at his family property – now hers – in North Frontenac Township. She has been a member of MMLT since 2010 and, with her sister Charlene, donated the property for the Rose Hill Nature Reserve. She has been a member of both the Macnamara and Ottawa Field Naturalists’ Clubs and served one term as Regional Director (Eastern Ontario) on the Board of Ontario Nature. Her numerous other interests include choral singing, hiking and skiing, canoe camping, travel, local history, and various study groups, with a special interest in Africa. She lives in Ottawa with her daughter Cristina and grandson Kai. Bethany joined the board in 2014. Bob Betcher: Bob is a retired hydrogeologist, having practiced his profession in Prince Edward Island, Manitoba and Ontario, spanning a 40 year career. Much of his career was spent studying groundwater occurrence, movement and chemistry on a regional scale, particularly examining how groundwater recharges the subsurface and how it exists in discharge areas. In the later parts of his career he began to focus on the concepts of surface water/groundwater interaction and the important role groundwater plays in ecosystem support. He was the recipient of the Robert N. Farvolden Award in 2011 for outstanding contributions to the disciplines of earth sciences and engineering that emphasize the role or importance of groundwater. In “retirement” Bob continues to be actively involved in groundwater activities, serving as the executive assistant to a national groundwater association and volunteering his expertise to other organizations. He also remains busy with self-study of new fields of interest including limnology and biology, and cataloging the plants around his small acreage and cottage. 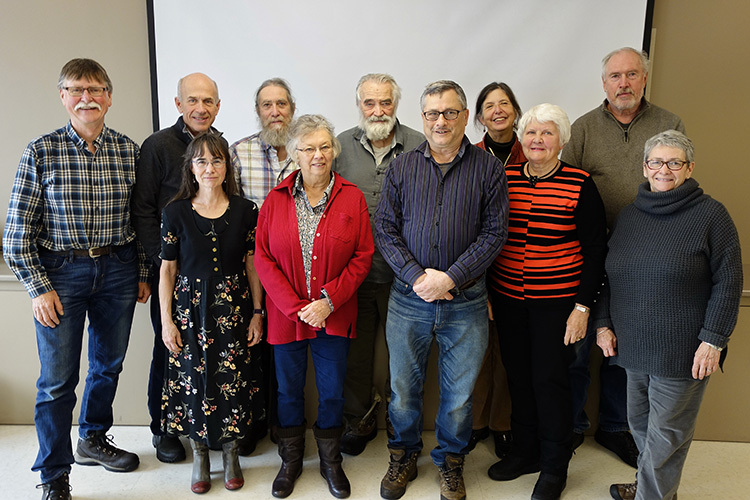 Judy Buehler: After retiring from 20 years at Statistics Canada, Judy became more actively involved on the Board of the Rideau Valley Field Naturalists serving as President and representative to Ontario Nature. She is currently also on the Board of the Friends of the Tay Watershed and volunteers in many capacitities with Studio Theatre in Perth. Roberta (Bobby) Clarke: Bobby is a retired physiotherapist. She has been involved all her life in health, environmental and political issues and campaigns, most notably the “Save the Heinz Bush” Campaign in Leamington. She has had experience on various local, national and professional Boards of Directors. Bobby has been a Green Party candidate in the 2000 Federal Election and continues to be active in Green politics. As well she is the coordinator for an organic food cooperative and loves the hours and days spent gardening. Bobby is new to the board in 2014. Howard Clifford: Howard has a love of wilderness that has taken him thousands of miles of paddling and hiking in remote parts of Canada. He received a Commemorative Medal from the Governor General of Canada for his historic bicycle trip on behalf of Child Care that took him from the Pacific Ocean to the Arctic Ocean and on to the Atlantic Ocean in Newfoundland and Labrador. His family placed a 999 year conservation easement to protect their 1250 acre wilderness property while also ensuring ongoing public access. Don Johnston: After graduating from McGill University, Don worked as an architect in Canada and abroad. He then joined the federal housing agency, CMHC and oversaw its program of technical research and demonstration. Later he worked with the home building industry to influence federal housing policy. He was a member of the National Building Code Committee on Housing and Small Buildings and several CSA technical committees. Don learned to appreciate the wilderness as a youth on canoe trips in the Quebec Laurentians. He lives in Almonte where he is an active member of the community and an engaged grandparent. Cathy Keddy: During M.Sc. studies in plant ecology at Dalhousie University, Cathy became a founding director of the Halifax Field Naturalists. She then spent over 25 years as a consulting ecologist on projects from the Yukon to Nova Scotia that ranged from creating ecosystem management plans for national parks to preparing status reports for species at risk, working with government agencies, private industry, and individual landowners. During an eight-year term in Louisiana, she became one of the founding directors of the Land Trust for Louisiana. 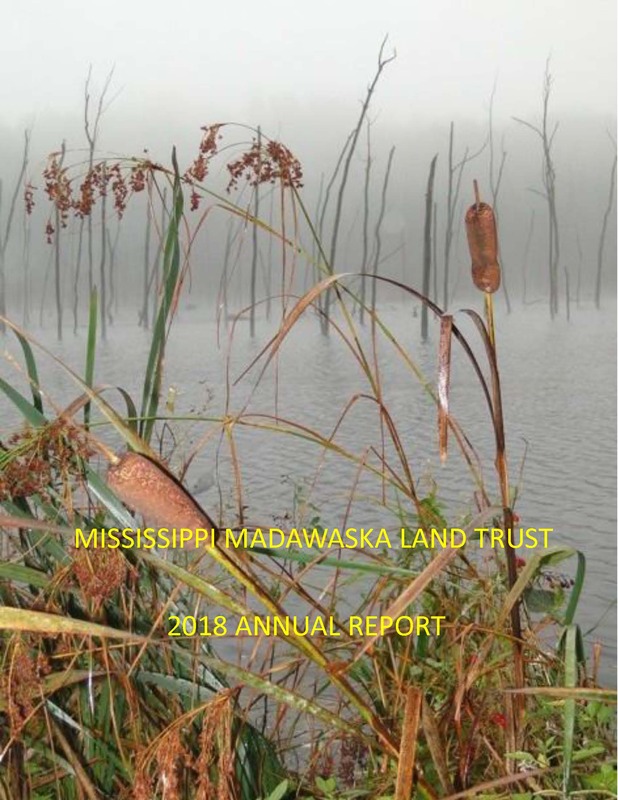 On returning to Ontario, Cathy was recruited as program chair by the Mississippi Valley Field Naturalists, became active with its environmental issues committee, oversaw MVFN’s receipt of charitable status, and established a highly successful annual banquet. She also shares her expertise as a director of Ontario Nature. Cathy lives with her husband in the woods of Lanark County, surrounded by an ecologist’s dream of forest, bears, and fishers—protected by a conservation easement held by MMLT. Stephen Kotze: Care and respect for the land have been with Stephen a long time – from planting trees in northern Ontario to starting a tree nursery in southern Lesotho to help combat the effects of soil erosion, including an early interest in permaculture and many years of growing food, organically, for his family on his village lot. As a commerce graduate, he found a way to marry his vision for a more compassionate and just world, and his fundamental respect for all life, with his accounting skills! Consequently, he has worked in and for the voluntary sector for most of his life, including a short stint as Executive Director of the Canadian Environmental Network. He currently runs an accounting business that serves numerous not-for-profit organizations and small businesses. His mission is to build financial capacity and understanding, particularly in the non-profit sector, strengthening organizations and their long-term viability through improved financial management processes and systems. Simon Lunn: Simon developed an early fascination for nature and the outdoors as a young lad while accompanying his parents on bird-watching (and bird-banding) field trips through the countryside and various parks of Ontario and Nova Scotia. As a young member of the Richmond Hill Naturalists Club he pursued interests in birding, taxidermy, photography & reluctantly, public speaking. An introduction to wilderness environments happened later as a Boy Scout. Simon is a graduate of Acadia University (MSc. Science), where he soon found his other love, Carolyn. Following summer jobs with the Ontario Ministry of Natural Resources, Canadian Wildlife Service, U.S. Fish & Wildlife Service & Environment Canada, Simon accepted his first full-time job as a Park Naturalist at Kejimkujik National Park in Nova Scotia. Throughout his 30-year career with Parks Canada, he worked variously as a Park Naturalist, Park Interpreter & Planner, Visitor Services Officer and Ecosystem Scientist at national parks across Canada including Cape Breton Highlands, Fundy, P.E.I., and Waterton Lakes National Park in Alberta. He retired in 2004 (freedom 55!) following an 18-year stint with the Rideau Canal National Historic & World Heritage Site. Simon now resides near Smiths Falls with his wife, Carolyn (also a biology graduate). Among his many interests, Simon presently enjoys photography (natural landscapes, flora & fauna), travelling, naturalizing, hiking, snowshoeing, x-c skiing, camping, birding, canoeing, Citizen Science and volunteering for other community organizations. He was previously a board member for several years with the Rideau Waterway Land Trust, and believes strongly in the (non-government) role they play in protecting and conserving natural habitats & the plants & animals they support. Mary Vandenhoff: A graduate of Queen’s (BA), Toronto (MBA) and the National Autonomous University of Mexico (MA), Mary is a retired diplomat and former owner of Nature Lover’s Bookshop. She has been an active volunteer in many local organizations. She received the Queen’s Golden Jubilee Medal for her contributions to community economic development and the Ontario Heritage Medal for her efforts regarding local heritage conservation and restoration, the Ottawa Eco-Stewardship Award and the OLTA Vision Award for her work to promote a greater understanding and protection of our natural world.